French Whipping is a very secure way of whipping without having to use a needle or palm. 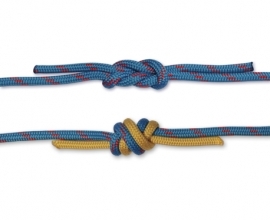 Although a little bit more time consuming than Common Whipping, it is still easy to tie and results into a neat looking and very aesthetic whipping knot. TIP! Use French Whipping as a handle/grip around railings or tools. 1. 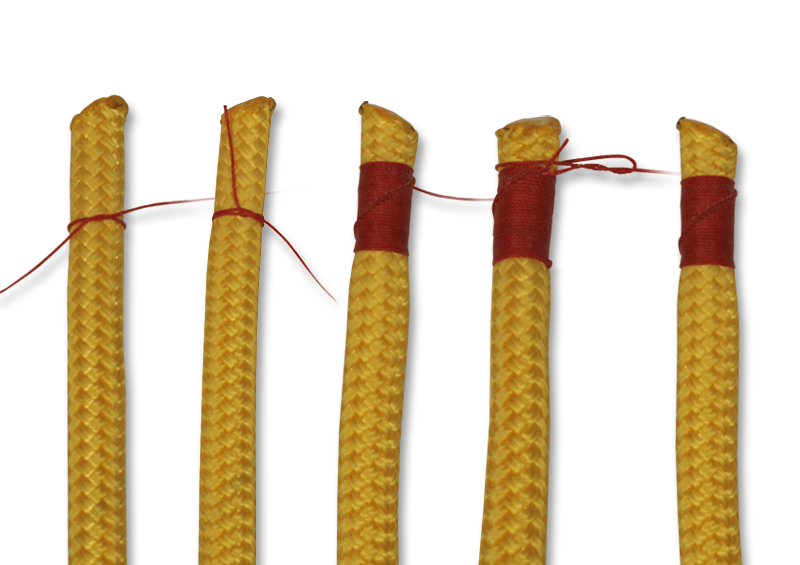 Start by making an Overhand Knot around the end of your line, leaving a short tail at the end of your whipping twine. As with Common Whipping we are going to start at what will be the bottom of you whipping and work our way towards the end of the line. 2. 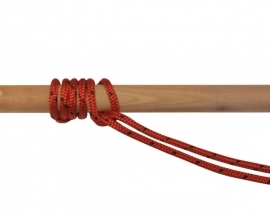 Take the tail of your whipping twine and lay it up along your rope. 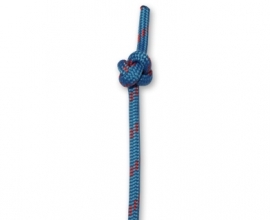 Create a Half Hitch around the rope and over top of the tail to secure it in place and pull tight. 3. Keep make half hitches and pulling them tight each time, until your whipping is at least 1.5 times as long as your rope is wide. The half hitches will make the diagonal turns appear automatically. 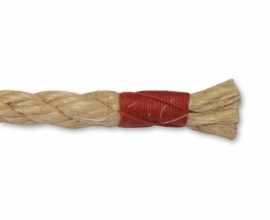 Make sure to catch the tail of your whipping twine under each half hitch. 4. To secure your whipping, make another half hitch, but this time tuck the working end through the hitch a second time before pulling tight. 5. Trim off the working end, leaving a tiny little tail.